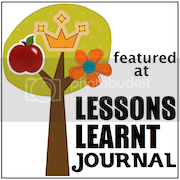 When it comes to Superheros and ABC's, there is a ton of great stuff out there. Since, he already owns 2 alphabet art prints, I was unsure of whether I should add another. 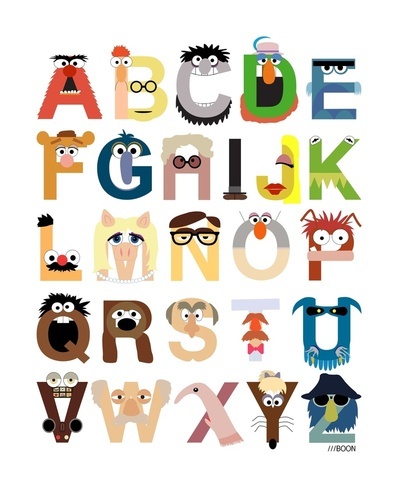 So of course I found three that I loved: A Superhero Alphabet, a Star Wars alphabet and a Muppet Alphabet. In the end, I just had to go with the Muppets. I felt that it was a little more well done than the other two. I'm pretty sure he'll love it and well...I love it. Plus, maybe it will expand his interests a bit. 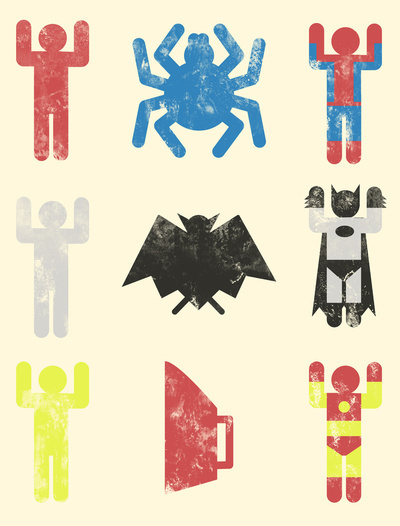 I also found this Super Heroic Minimalism print that I think he'll enjoy and will hopefully grow with him. He is covered on clocks. He owns three clocks (that actually work and are on his walls) including this Grandfather Clock decal in green. He also owns several more clocks that are scattered throughout the house. I plan to add some Star Wars prints as he gets older, nothing really struck me as I was looking, but I imagine something Yoda-themed is in his future. Adorable finds, I especially love the first two prints they are too cute.